Were you aware of D.C. Fashion Week? September has been flooded with the runway reports from New York, Paris, London and Milan that the designers from our nation’s capital are largely ignored. 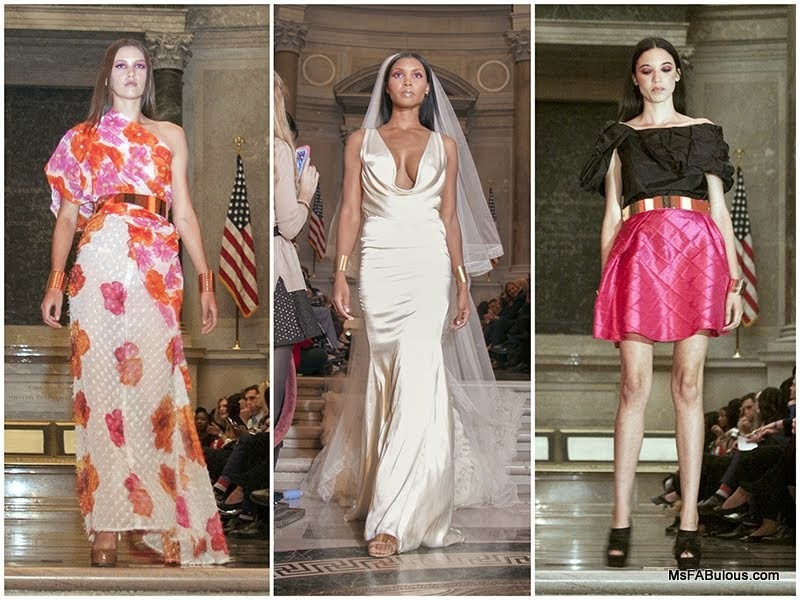 I had the fortune of stopping by Washington D.C. and checking out the kickoff event at the National Archives where participating designers mingled over cocktails and enjoyed Corjor International’s runway show. D.C. Fashion Week may not have a lot of well-known brands, but it represents emerging designers from all over the globe. It also spotlights modest fashion that complies with religious standards of certain cultures, but can be seriously stylish, even if mainstream fashion media doesn’t cover it. 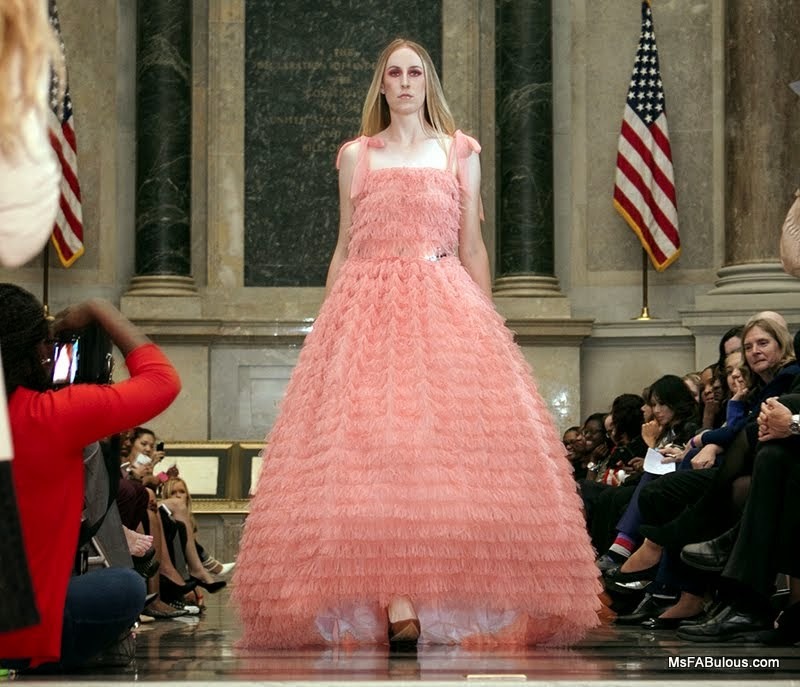 In the United States, there are not many venues more impressive than the grand rotunda housing the Constitution as a backdrop to the models. Corjor International’s designer Ean Williams named his label with a combination of his children’s names. 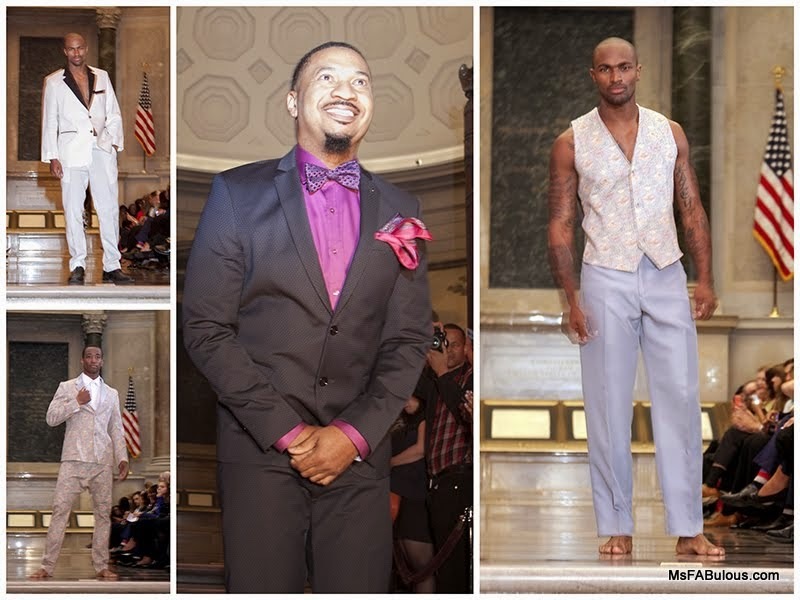 His fashion show was a combination of all the different lines he works on, from bridal, to menswear to evening wear. He also acts as the ambassador for D.C. Fashion Week by sending out information and communicating personally to press inquiries. Unfortunately, the dramatic venue was not built for fashion event photography. The dome and polished stone room resulted in too much feedback from all audio announcements, so the press pit had no idea what was said during the presentation. The theatrical lighting forced less experienced photographers to use their flash and ruin most of everyone else’s images. I barely had anything usable to show you from what was otherwise a beautiful show. Ean Williams clearly has a love of textured fabrics and is glamorous silhouettes. His menswear was offered tailoring in unusual palettes. If you are not too fatigued from the labels you know at the major fashion week offerings, take a chance to discover the ones you don’t know at D.C. Fashion Week.